Are granite countertops right for your kitchen? Posted on November 30, 2017 at 4:48 pm. During the planning stage of a kitchen remodel, we are often asked about the properties associated with the different types of countertop materials. Choosing the right countertops depends on your needs and taste. In this post we’ll compare granite versus marble versus quartz to help guide you through your next kitchen remodeling decision. Granite is a natural stone, therefore each piece is one of a kind. There is also a wide variety of colors and tones to choose from. Granite will need to be sealed once installed in order to protect against staining. Frequency of sealing will be determined by how porous the material is. Lighter granite tends to be more porous so those colors can be more susceptible to staining. Granite can hold up very well to heat and it is highly resistant to scratching. 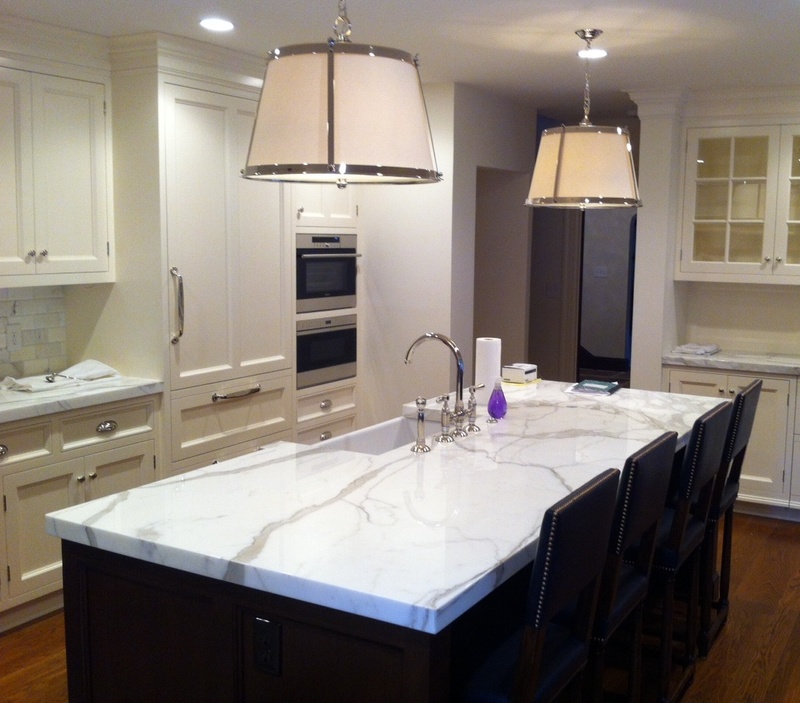 Marble is another natural stone and just like granite, each piece extracted will be completely original. It’s a very traditional selection and the look is typically organic veining on each slab. The veining can vary depending on the type of marble. Some have several thick & striking veins on each slab, where other types of marble have lighter veins that seem to merge and blend in with the background. Each of these looks will make quite a statement when used in a kitchen. Marble will stand up very well to heat. It will be more susceptible staining and the surface could potentially etch if exposed to acidic foods such as lemon juice. It is possible to have the stains removed every so often if they get bad over the years. There are several types of man-made stones, the most popular being quartz. Depending on the brand of quartz, some of the selections can appear manufactured; while some have mastered the natural look, which can be quite appealing. Most brands can withstand some heat, but not as much as natural stone. Quartz materials will be quite durable and hold up well against staining. Many people confused quartz with quartzite. Quartzite is a natural material and the qualities can differ depending on the exact type of quartzite. It’s best to get a sample of the actual product that you wish to use and try to scratch/stain/etch the surface with basic items from your kitchen to test its durability. Learn more about kitchen design and cabinets.